Working with Vicki and Dave on their kitchen led the room next door to create a flow on the ground floor level. The room to be a warm, country snug, echoing the style from the kitchen and creating a cosy little second living room for the family. The room needed to be modernized but not to lose it’s charm. Although it needed to flow with the kitchen it was to sit as a separate room with it’s own identity. 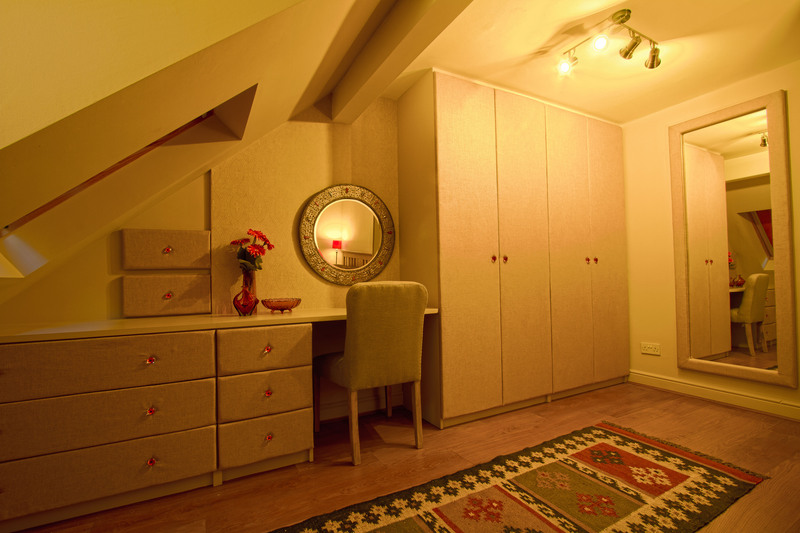 It needed to be warm, cosy and inviting. We designed a gorgeous country snug for Vicki and Dave using a mix of wool, chunky weaves and warm colours to create a really cosy room. 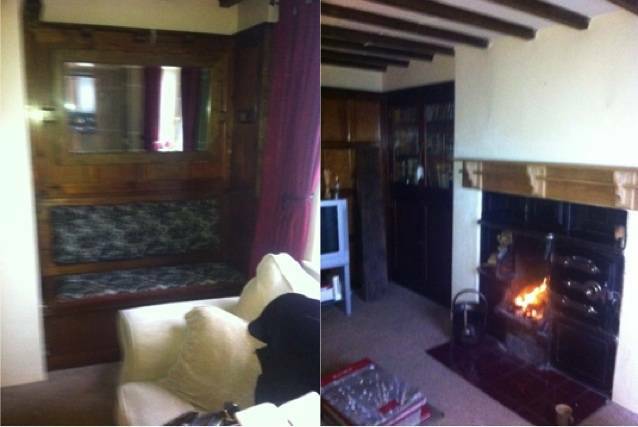 It always gives an idea of the transformation to see the room before we’ve worked some magic, so here’s a couple of ‘before shots’ of the snug. 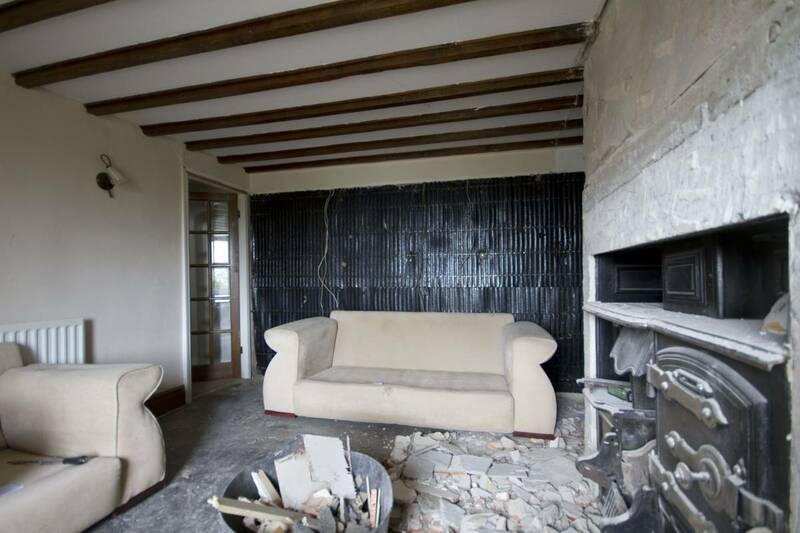 The next stage was to get everything cleared out (including the sofas through the window, which was the only way to get everything out, and in!). Following lots of discussions everyone agreed to remove the dated wood panelling that dominated the room and to keep the original range as a focal point of the room. We carried the wood flooring and underfloor heating in from the kitchen to bring the flow right through and create a feeling of space throughout the whole downstairs. 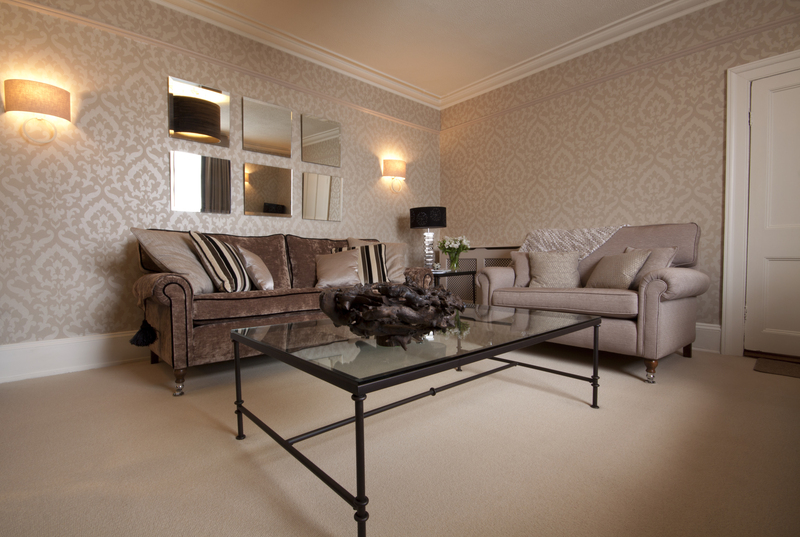 Bespoke sofas were designed in exact sizes to ensure maximum seating area for the room without compromising on space. Using a vintage style sofa shape we modernized this with a new take on classic wool tartans to create a contemporary look. The scheme is designed with complimentary shades of purple and green fabrics to create a unique look; mixing sofa and cushion fabrics, trims on curtains and beaded details to really set the room apart. We’re in love with these sofa and chair we commissioned so thought they deserved their own close up on here to show them off properly! And then to set the room off further we introduced a subtle patterned leaf wallpaper to two of the walls, adding more warmth and depth to the room to create a beautiful relaxing room that we’re really proud of. To give you a full idea of the room in the flesh, then click play on our video ‘reveal’!